Fall is definitely in the air… nights are cool enough that my window fan is TOO cool by morning, hence another blanket on the bed. 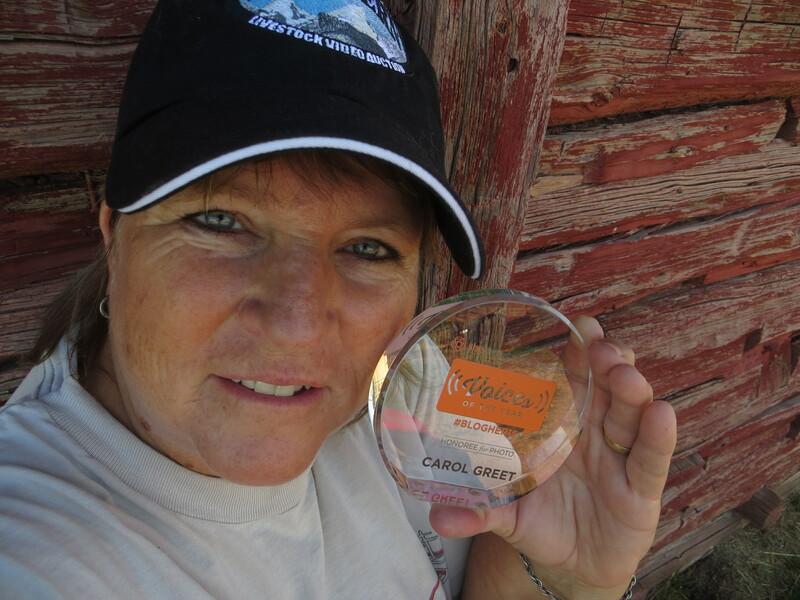 September will be a busy month, cow work is coming up, my annual trip to the Wyoming Library Association meeting in Cheyenne, plus a fun day or two planned as well! That puts in a push to complete projects. 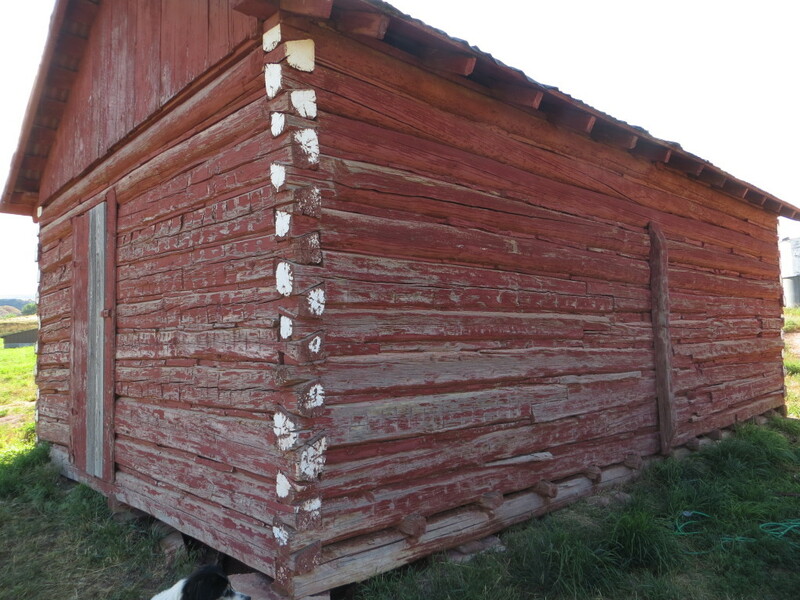 This summer’s goal was to finish painting… finish the trim on my house and garage, and spruce up the outbuildings. Well, I still haven’t met that goal… but, on occasion, I’m working on it! Remember my happy little face when I won the Voices of the Year honoree? Well, don’t look at me… look at that old worn granary behind me. Rustic. Vintage. Some would vote to leave it the way it is… and I understand your love for old things… but… well, it also makes it look like we don’t care, like we don’t take care of things, like we’re lazy! Plus I painted the well house behind the granary, and the gas tank shed, and part of the chicken coop! I still have more to do… but the big barn??? Yeah, well, I think I’ll leave that for next summer! i don’t believe i have ever or would have ever disagreed with you but i like the before better – still you can never do wrong in my eyes – i love all that you do…. 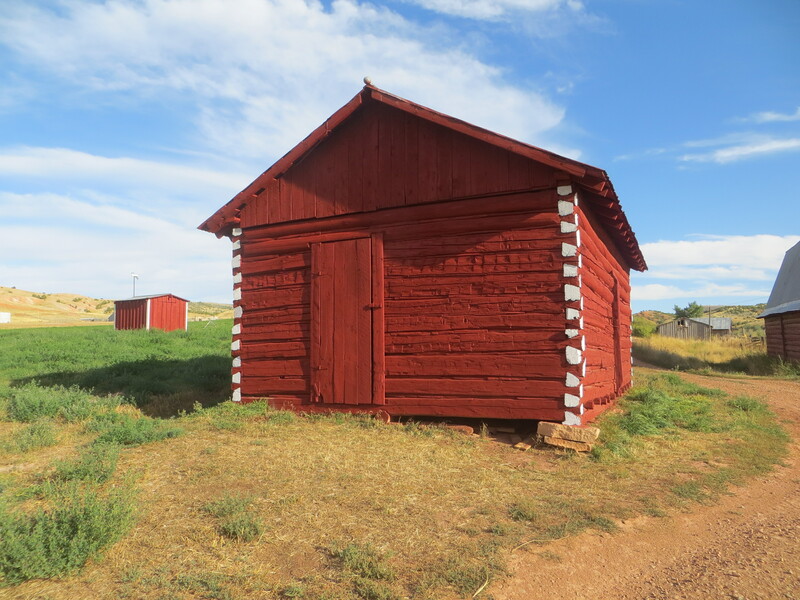 The Granary looks great and the paint will hopefully give some protection against your Wyoming winters. Fall is in the air across the pond to. Extra blankets and quillows are nearby and have been needed several nights. As you know, my house and buildings are natural. Sure glad. What a job. Looks Great. Yeah, but you have all that cool old moss/lichen to add character!!! This looks really nice, Carol! Neil is painting our long fence the same color after we got an estimate of near $3,000 to have it done!